3 Popular Cars in the USA - Which Brand To Buy? Recession notwithstanding, the auto industry has quite a few good cars available this year. Often times auto manufacturers have made many small but significant changes to their existing models. Customers have very well defined preferences when it comes to cars. They are only willing to spend money on a vehicle if it gives them the performance and value they are looking for. This midsize sedan is very popular as a family car for a variety of reasons. This fuel-efficient vehicle is fairly roomy and comfortable to sit in. It has been loaded with a lot of high tech features with great emphasis on safety. However, it has to be admitted that this vehicle does not handle particularly well. This car also offers excellent value for money with its starting price of around $22,000. The 2012 Toyota Camry's 2.5L 4-cylinder engine and automatic transmission give it adequate power on the road (many potential customers are turned off by the lack of manual transmission). This vehicle does 25 mpg in the city and 35 on the highway, making it the ideal vehicle for a family that has a lot of running around to do. The costlier versions of the car come with better entertainment options than the cheaper options. 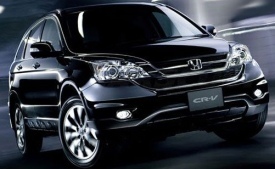 The 2012 Honda CRV is equipped with a 2.4-liter four-cylinder engine. The 185 horsepower and 163 pound-feet of torque that it produces make it quite a powerful vehicle. This vehicle is also surprisingly fuel efficient with 23 mpg city/31 mpg highway and 26 mpg combined. One drawback that drivers immediately notice is that the vehicle does not accelerate very fast when compared to other vehicles in its category. The latest version of the Honda CRV is far smoother to drive than the previous ones. It is also much quitter to drive since it has been provided with high quality insulation. The cabin has also been designed with comfort and aesthetics in mind. The rear seats are very roomy and comfortable but they cannot be slid forward and behind. In compensation, the seat can be folded almost flat very easily. This is another extremely popular vehicle in the compact crossover SUV segment. This is certainly something because this segment is incredibly competitive. At around $20,000, this vehicle is also priced very well. The base model of this car is equipped with a 2.5-liter engine that gives a respectable 170 horsepower and 174 pound-feet of torque. The XT trim is more powerful thanks to an engine than can produce 224 hp and 226 lb-ft of torque. However, its four-speed automatic transmission is not particularly interesting. The fuel efficiency also leaves a bit to be desired at 21 mpg city/27 mpg highway and 23 mpg combined. The 2012 Subaru Forrester is also a very rugged vehicle that can easily take on the challenge of backcountry paths. This is a very roomy vehicle thanks to its large cabin and cargo space. Combined with its excellent safety rating, these features ensure that this vehicle is one of the frontrunners as a family vehicle. However, city people might not like its lack of sophistication and style.